Onyx is a variety of cryptocrystalline quartz in which the forming bands are parallel and regular. Its appearance is most striking when the bands are of a sharply contrasting color. Onyx, along with alabaster and lapis lazuli is considered a semi-precious stone. In ancient times it was used for the creation of jewelry, vases and other ornaments. 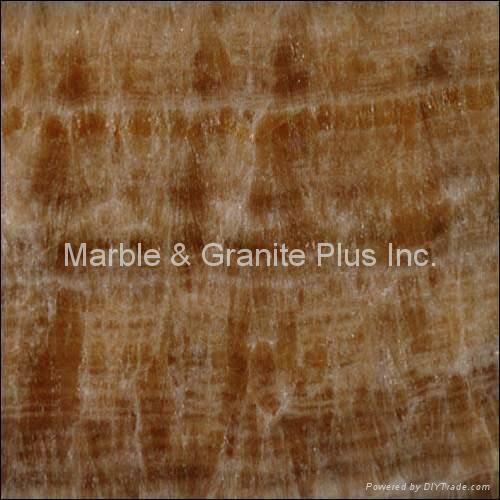 Disclaimer: Natural Sone is a product of nature, therefore, color, veining and pattern may change from lot to lot. Due to the usual limitations of computer monitors, screen color may vary slightly from actual color.